Chen Yongle "Trace" - Reduction Woodblock - Chinese and Japanese woodblock prints for sale, silkscreen, scrolls, watercolor, lithographs. Artwork Details for Chen Yongle "Trace"
Condition: Fine condition. Full margins; No folds, tears, foxing, etc. Never framed. I would rate Chen Yongle as being without a doubt one of the top eminent Chinese artists. Many of his editions are now sold out. Yongle's prints are produced via the woodblock reduction technique. No new editions are possible because the woodblock is destroyed as a natural part of the reduction process. I will ship this print rolled to reduce shipping costs (too large to ship flat). 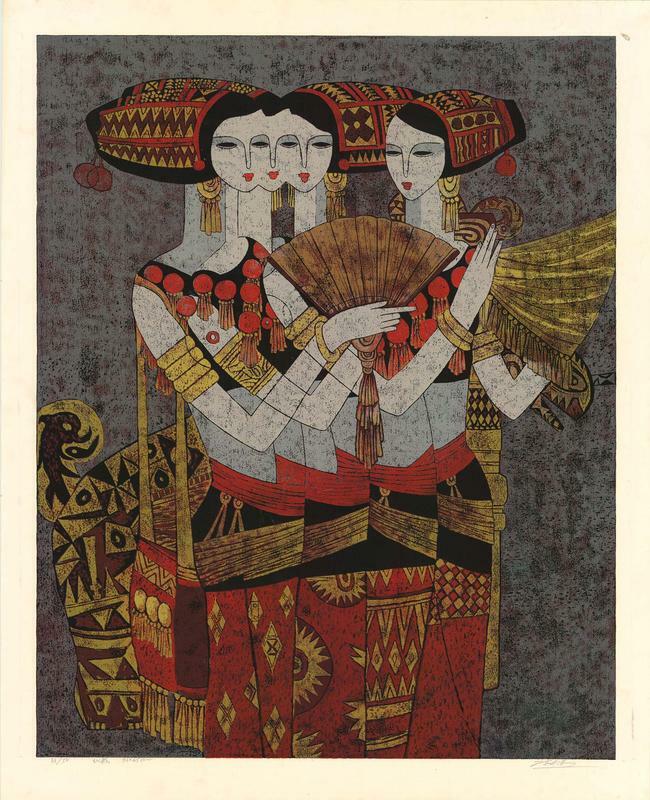 See my personal collection of Chen Yongle prints here. Chen Yongle was born in 1944 in Chongqing, Zhejiang Fenghua. He is a member of the Chinese Artists Association, the China Association printmaking, and a former Executive Vice President and Secretary-General of the Yunnan Artists Association. His main activities are printmaking and painting.